About – Global Animal Products, Inc.
Ken Ridenour, President of Global Animal Products, formed the company in 1995 to take advantage of market opportunities to provide chelated zinc methionine trace mineral supplementation to the feedlot cattle industry. His leadership in the development of an innovative production and patented application system allowed Global Animal Products to offer an economical source of chelated zinc methionine to producers in a liquid form called ZinMet®. Ken Ridenour, President of Global Animal Products, formed the company in 1995 to take advantage of market opportunities to provide chelated zinc methionine trace mineral supplementation to the feedlot cattle industry. Through his leadership in the development of an innovative production and patented application system allowed Global Animal Products to offer an economical source of chelated zinc methionine to producers. Global Animal Products emerged from a start-up company in October 1995 to become the industry leader in the manufacture and marketing of liquid chelated trace minerals with the addition of Manganese, Copper, and a multiple trace mineral product called LT4®. In 1998, Global Animal Products began marketing internationally as it entered into a joint venture agreement to form Austasia Animal Products in Forbes, New South Wales, Australia. Global Animal Products becomes a multi-species company by marketing to the dairy market in 1999, followed later by entry into the swine and poultry markets. In September 2001, Global Animal Products introduced ZinMet® into the feedlot cattle market in South Africa through a distributor. After initially leasing a production facility in Australia to manufacture organic trace minerals, Austasia Animal Products constructed its own manufacturing facility in Australia and produced its first batch in May 2003. 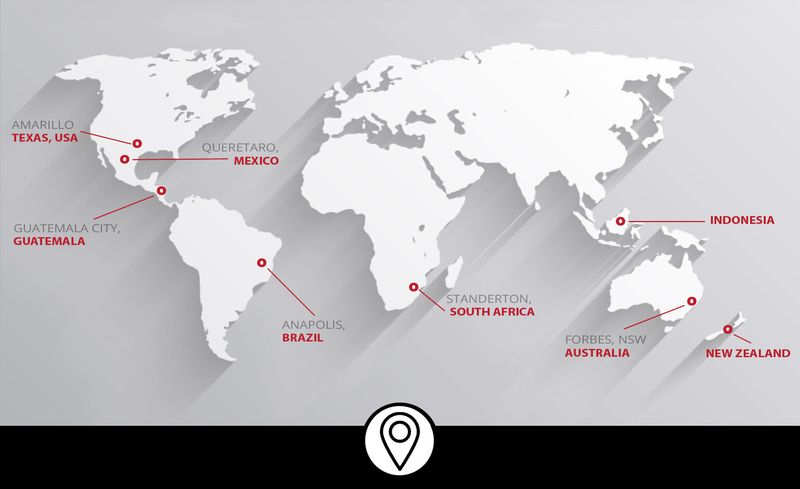 This second manufacturing facility allowed access not only to Australia and New Zealand but also the Pacific Rim. In 2014, Global Animal Products expanded its global presence into South America by marketing in Brazil. Global Animal Products Latin America enters Mexico and introduced organic trace mineral product lines to Mexico and Central America.